A Martha recipe that is SOO simple with easy ingredients. Serve with oven roasted sweet potato wedges and steamed broccoli..
Preheat oven to 375 degrees. In an ovenproof pot, heat butter and honey over medium heat until melted. Sprinkle pork tenderloin with Cajun seasoning and black pepper. Brown each side for 5 minutes in the honey butter. Lower heat if honey begins to burn. Place pot in oven and roast uncovered for 15 - 20 minutes*. Remove pot from oven and transfer the pork to a plate. Cover with foil. Add water to the pot and stir over medium heat. Simmer for about 5 minutes, until sauce is reduced slightly. 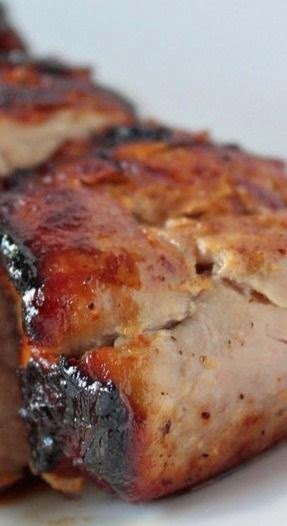 Slice pork on the diagonal and drizzle sauce over top to serve. *NOTE: May need to cook longer depending on the size and thickness of the pork tenderloin.